The last of today’s 2015 Coffee Spot Awards shortlists is the “Best Neighbourhood Coffee Spot”. In 2014 this went to Darkhorse Espresso and it celebrates those Coffee Spots which are firmly rooted in, and which serve, their local communities. Unsurprisingly, the shortlist contains some of my favourite Coffee Spots of the year. 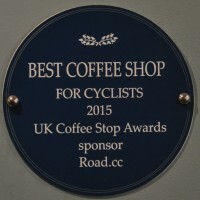 This Award has quite a wide geographical spread, with Coffee Spots from as far afield as Seattle, Philadelphia, Dorset, Lymington, Swindon, Brighton, Sheffield, Newcastle, Esher and Notting Hill. The original Ground Coffee, in Kemp Town, is roasting its own beans these days, but it’s still very much a neighbourhood Coffee Spot, sitting on a sunny corner in Kemp Town. To the east of Brighton‘s centre, it’s off the beaten track as far as tourists are concerned. My personal favourite is the cosy back room. 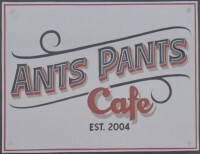 Ants Pants was set up in 2004 to bring a slice Australian café culture to southern Philadelphia. The result is a very unpretentious, neighbourhood place, which feels very unlike a third-wave coffee shop and more like an American diner (but with significantly better coffee). Ants Pants was also shortlisted for the Best Breakfast Award. Once-upon-a-time, Jolliffes was Nest, a lovely, cosy spot in Brighton’s North Laines. Now under new ownership and with a new name, the good news is that its retained the same cosy, neighbourhood feel of the original. Sheffield‘s Upshot Espresso is another that’s a little way out of town, in this case, on the city’s eastern edge, near the university and hospital. Unassuming from the outside, it’s fairly unassuming on the inside as well, except that it serves some amazing coffee from London’s Square Mile, plus a regularly-rotating cast of guest roasters. Also shortlisted for the Best Espresso, Happiest Staff & Best Breakfast Awards. Poole’s Little Red Roaster has been around for longer than most. Originally all the coffee was roasted on the eponymous little red roaster which is still in the back of the store, but it’s now gone into semi-retirement. 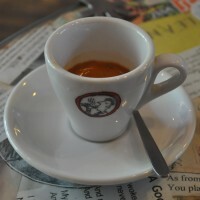 Nevertheless, the Little Red Roaster is another top-notch coffee place, quietly serving its local community. Little Red Roaster has also been shortlisted for the Best Roaster/Retailer Award. Milstead & Co. is another top-notch coffee shop that’s off the beaten track, in this case tucked away under the Aurora Bridge in the Seattle suburb of Fremont, where it turns out coffee from carefully-selected west coast roasters. 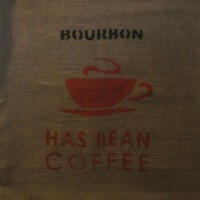 Also shortlisted for the Most Passionate About Coffee Award. 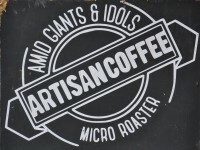 Halfway up a hill in Lyme Regis is roaster/café, Amid Giants & Idols. When it’s in full holiday mode, the seaside resort is packed with visitors, but the rest of the year it’s the locals which keep Amid Giants & Idols going. 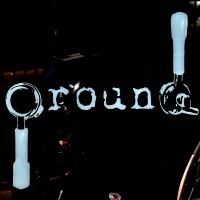 Also shortlisted for the Best Roaster/ Retailer and Most Unlikely Place to Find a Coffee Spot and Awards. A real neighbourhood joint, and a popular brunch spot at the weekends (which is when I was there), Café 1901 graces the Newcastle suburb of Jesmond, occupying the hall of a local (and still active) church. Café 1901 was also shortlisted for the Best Breakfast Award. 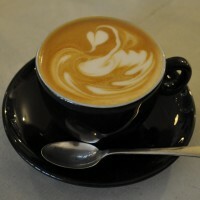 Darkroom Espresso in Swindon is, in many ways, the epitome of a neighbourhood coffee shop. When the founders, an Anglo-Australian couple, were threatened with deportation, the customers started a petition (ultimately unsuccessful) to let them stay. However, Darkroom lives on, having been sold as a going concern to new management who have kept the neighbourhood ethos. Also nominated for the Coffee Spot with the Best Lighting Award. 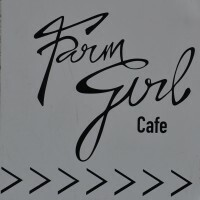 An interesting mix of Aussie (baristas) and French (chefs), Farm Girl Café is a recent addition to Notting Hill, helping fill the speciality coffee void in that area. Tucked away off a courtyard at the bottom of Portobello Road, it largely attracts crowds of local residents, particularly at the weekend, when they all come for brunch. Also shortlisted for the Best Outdoor Seating Award. An old favourite in the Hampshire town of Lymington, I first visited Lemana in 2013. Since then it has upped its coffee game, with Staffordshire’s Has Bean. However, it’s lost none of the friendly, neighbourhood feel which made it the success that it is, loved by locals and visitors alike. Lemana has also been shortlisted for the Best Cake and Best Breakfast Awards. Esher’s G!RO Cycles is a speciality coffee shop that’s used to winning awards, having picked up the Coffee Stops Award for “Best Coffee Shop for Cyclists” earlier this year. 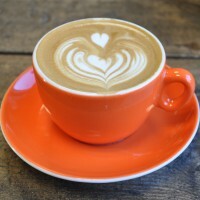 Based firmly in Esher, with beans locally-roasted by Beanberry Coffee in Woking, it’s also rooted in a second community, that of the south east’s cyclists, who are extremely well-catered for! Giro has also been shortlisted for the Best Filter Coffee Award. A special mention also needs to go to the following.